Nature enthusiasts should take a moment to explore Eagle’s Nest on Lake George. This two-bedroom, three-bath rental home, located in a 3,000 acre nature preserve, provides easy access to a wildlife sanctuary, a beautiful waterfall, and a seven-acre catch-and-release lake. This lovely log home features a majestic stone fireplace and an open floor plan with a light colored wood interior. There are two king-sized bedrooms, one on the main floor and on the second. Also on the second floor, there’s a loft overlooking the living room. The lower level includes a recreation room complete with a pool table, card table and a variety of games. From the top deck, take in the forest expanse and dine on the picnic table. From the lower deck, you can access the private lake dock or relax in a rocking chair. As a bonus, your well-behaved dog can join you in the home as this house is one of Greybeard Rentals’ pet-friendly homes. There’s even a small enclosed yard so your dog can have some free time outside safely. 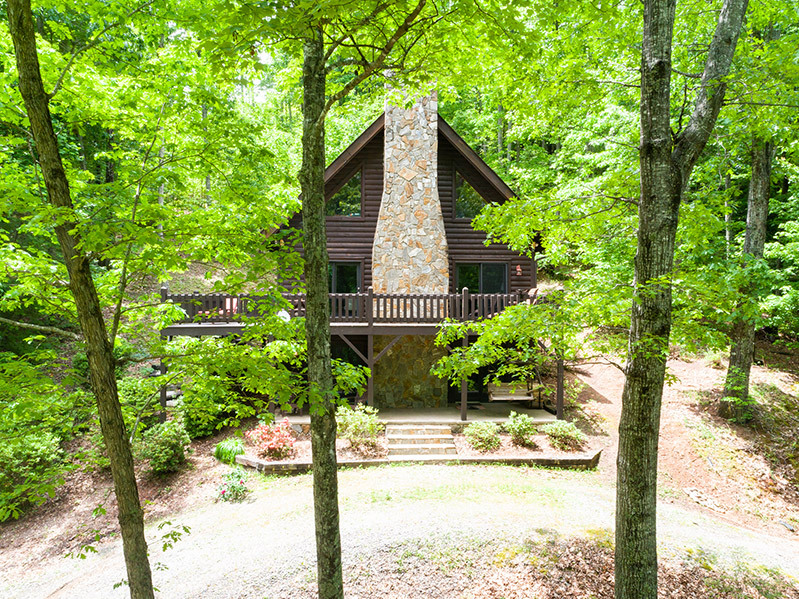 From this mountain home, you can take advantage of the numerous hiking trails or take the short drive to explore Black Mountain. If you have a specific interest such as golfing or outdoor sports, please connect with Greybeard’s Guest Services and get your activities all set before you even arrive. Now is a great time to make your vacation plans, and Greybeard Rentals is available to assist you in choosing the best home for your needs. There’s nothing as restorative as a quiet weekend in the NC mountains. The summer months are one of the most popular times to visit Asheville North Carolina...and the hype is totally justified. Our Western North Carolina mountains are known for sweeping, majestic views, the remarkable change of seasons, dramatic leaf change, cool mountain breezes -- but springtime in the Asheville area brings a show of its own. Save on your next Ashville Vacation Rental. Check out our special offers!